A snow break from school gave me time to complete a few projects including two St. Patrick’s Day pillows. To be honest, I don’t particularly like celebrating St. Patrick’s Day but I do like decorating for it. 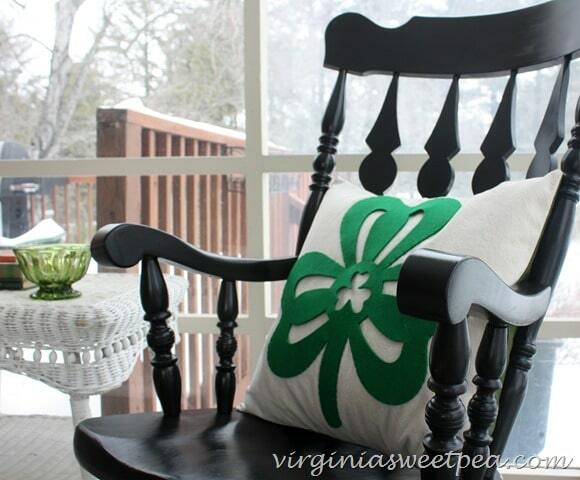 My decorating started this year by making two pillows embellished with a felt clovers found at the dollar store. 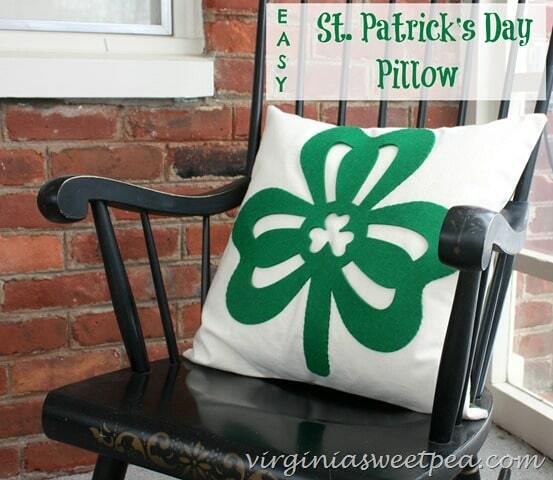 Each St. Patrick Day pillow was constructed from fabric left over from previous pillow projects. I like to make envelope style covers. Click here for a step-by-step tutorial. After I made the covers, I pinned the clovers into place and then stitched around each using coordinating green thread. Now I have two pillows that are perfect for March decorating. I use the same pillow inserts for nearly every holiday. It’s much easier to store the covers rather than store pillows for each holiday. 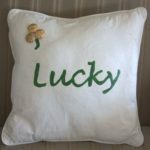 Would you have ever guessed that these St. Patrick’s Day pillows were dollar store inspired? 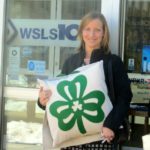 Sharing My St. Patrick’s Day Pillows on TV! Love them! What a cute and easy project! Thanks, Cristina! I’m really enjoying these pillows. 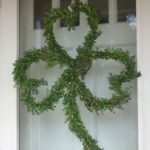 Love how festive this easy project is! Stumbled and pinned! Those pillows turned out really cute! 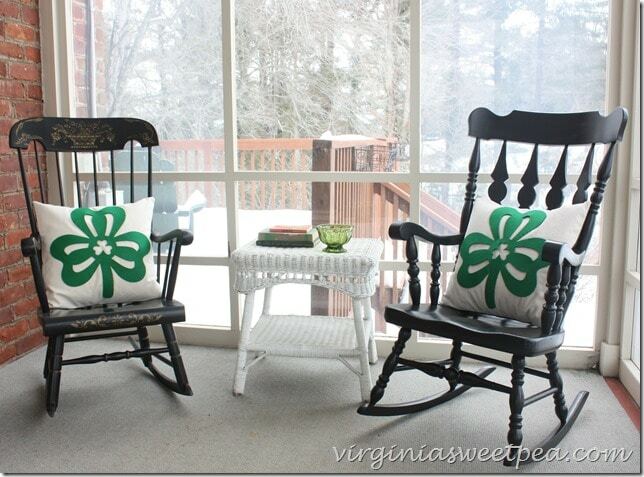 What a great idea to use those Dollar Store Shamrocks! Thanks, Manuela. I’m really loving this project! What a great idea. I have 3 leaf shaped felt placemats from a dollar store that would look cute sewn into a pillow. Thanks for the idea. You are welcome, Linda. I love having mine on our porch. I see them every time I enter or leave our house and I just love how they look. Love! I shared on my fb page yesterday Paula!! Have a great day! I completely agree about St. Patrick’s Day. I almost always wear green every day because I love it but seem to fail every year on that day. I always find it hilarious. Your pillows are so cute! 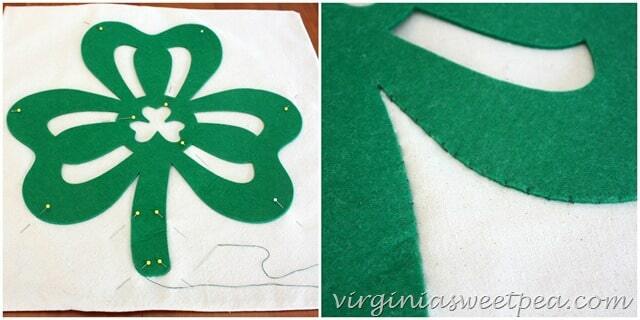 What a fun idea to use the dollar store shamrocks! I love it! Also, so smart to use pillow covers and store them to not use as much space. What an adorable craft! 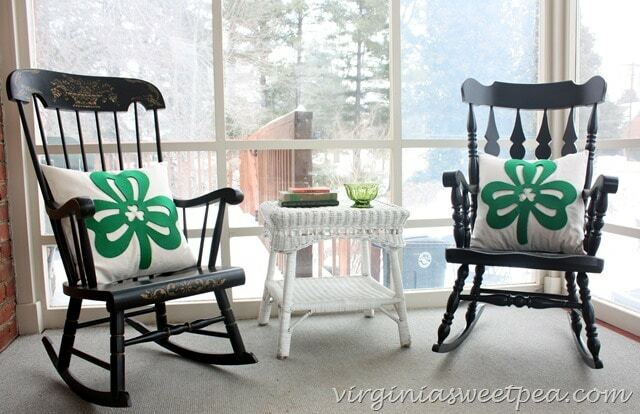 That chair makeover is absolutely gorgeous too! I don’t really celebrate St. Patrick’s Day, but I always make sure I wear green so I don’t get pinched. I love what you did with your pillows. I do the same thing. 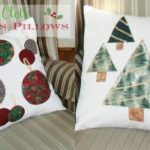 I reuse my pillow inserts and change pillow covers to fit the seasons. Have a great weekend, Paula. Thanks, Nancy! I really love how they look on my porch. Wow Paula, they look great! I love the way these turned out and I love that you got some of the supplies from the dollar store! What a deal. 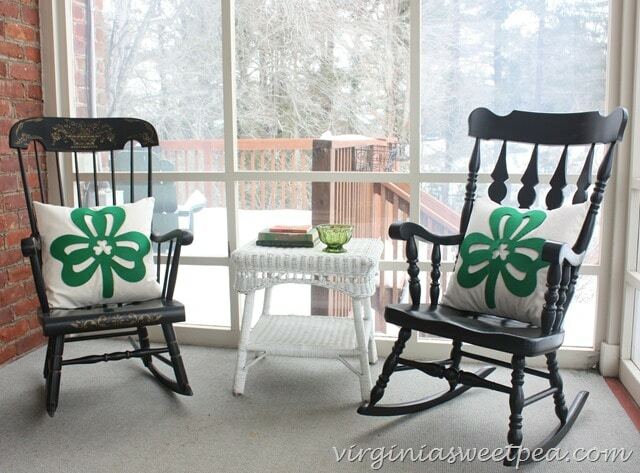 They look great on your rocking chairs. I hope you are keeping warm in all of the bad weather. Thanks for linking up to Tips and Tricks. Hope to see you again this Monday. I loved these pillows and LOVED meeting you! I look forward to organizing a local “meet and great”. And ps, apparently my mom “knows” you through blog land! Small world! I loved meeting you, Cory! After the show I had an email from your mom and I couldn’t believe the connection. I hope that we can all get together very soon! 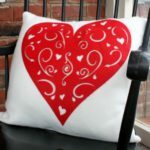 These pillows are so perfect! 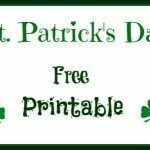 The dollar store is such a great place for affordable craft projects, I’ll be looking for some shamrocks next time I go. I’ve included your post in my St. Patrick’s Day DIY Project roundup today! I love these, Paula! 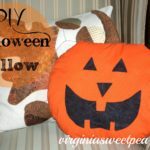 You may remember that I made Autumn Leaf pillows a long time ago–these made me think of those pillows, but yours are so much better! What a wonderful idea to create pillow covers for each season and just change them out. You’re so smart. I had forgotten all about your autumn leaf pillows until you just mentioned it. Maybe I subconsciously remembered your idea! Thanks for featuring my project on Grace at Home! Great use of those Dollar store felt finds. Love how these turned out! Thanks so much! I’m hoping to make some Easter or spring pillows soon. Great idea! Love the simplicity.